Frisch to be Arraigned for 3 Counts Stalking, Initiating False Report!! WILL DEB FRISCH FACE FELONY CHARGE? EUGENE REGISTER-GUARD: "Court documents show the victims are a former police employee, a current police department employee and an executive director of a local nonprofit agency...[Eugene Police Spokesperson] Melinda McLaughlin asked that anyone with information relevant to this case contact 541-682-5111 and reference case 15-02740." 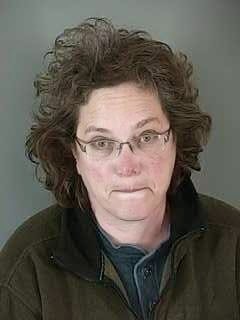 Eugene (Feb 14)--A threatening, vulgar voice message has surfaced, leaving no doubt that Deborah Ellen Frisch has learned nothing from her incarcerations in 2006, 2009, 2010 and 2011. Lets loose a torrent of vulgarities: "I want you to communicate to her: f*ck you c*nt, we don't want you in Eugene you stupid motherf*cking piece of sh*t, c*cksucking, motherf*cking c*unt." Amusingly reveals she's harassed other city, state and national officials about Miss Debbie's groundless grievance: "I'm going to be communicating my disgust for [REDACTED] to [REDACTED] and the doctors at Occupy Medical...If you want to see my emails about c*nt [REDACTED], just email [REDACTED] or [REDACTED] or, uh, the Mayor and City Council or the Police Chief or Homeland Security Inspector [REDACTED]." Debbie seems clueless to the fact that her emails have been BANNED by government ISPs for YEARS. Longtime Frisch-watchers will find this performance unsurprising--after all, it was Miss Debbie's online threats to a rival blogger's toddler which cost her her job at the University of Arizona in 2006, and her threatening behavior towards a City politician's child which led Frisch to be arrested, tried and convicted of physical harassment in 2011. And Frisch's habit of projection is clearly in view: Miss Frisch's obscene, threatening message was offered after being "offended" on Facebook, despite teh fact that Oregon Criminal 1675174 has a long history of harassing and threatening others on Facebook. 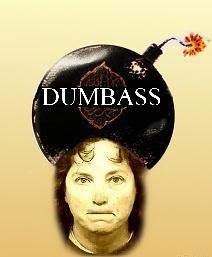 Perhaps ironically, the target of Miss Debbie's vile bile was a member of a volunteer organization which actually gave her a chance at redemption...Thus proving yet again that, as one Gerbil once put it, "Deb Frisch shits where she eats." or the Police Chief or Homeland Security Inspector [REDACTED]. if she was, um, incarcerated or incinerated. f*ck you...OK, I'm--I'm tired. Click. 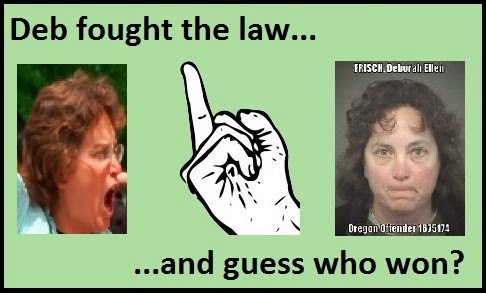 Eugene OR (Feb 1)--Despite repeated arrests (in 2006, 2009, 2010, and 2011), Deborah Ellen Frisch seems intent on repeating teh idiotic habits which landed her in jail before. If Debbie's latest swerves are any indication, 2015 could easily end with Debbie behind bars...again. LOLSUIT II? With teh dawn of teh new year, Miss Frisch hopes everyone has forgotten what a laughable EPIC FAIL her previous lawsuit attempt was in 2009-2010. On Jan 4, Miss Debbie sent one of her well-known toothless "tort claims notices" to a worker at teh City of Eugene. Threaten Teh FEDS! Yeah, threatening Federal Judges and sure worked for Debbie before...if, by "worked," you mean "got warning visits from the Secret Service and FBI." Yet StuckOnStupid Debbie seems to think the Feds have forgotten her address: on Jan 8, Deb sent a borderline threatening email to teh Federal Magistrate who bitchslapped her, repeatedly, during teh 2009-10 lolsuit. Criminal Impersonation for $200, Alex... Yep, even though Debbie was arrested and convicted on a criminal impersonation charge in 2011, she's still at it.